To generate Computer Aided Design Images from very old manually drawn designs. 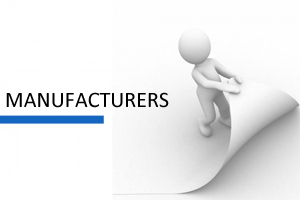 To help the manufacturing companies by creating and maintaining the mechanical drawings of various elements of their products. Our team of engineers worked on these files to generate Computer Aided Design as per client's specification. Hence, we completed and delivered the project with in time lines given by the client which were eventually used at client's automotive plant. The experienced engineering team of PHi is committed to giving you the best mechanical designs and mechanical drafting conversion results at very competitive prices. Client had provided us scanned images of some 50 year old, manually drawn design of various auto parts to generate their Computer Aided Designs (CAD). The quality of the images was too bad to read as they had dirt marks impressions, completely covering the back ground. Cleaning up these images was a time consuming process as the graphics experts had to zoom-in and out every single character and design many times to clean the dirt marks. They also had to make sure that the characters and designs weren't affected during this process. Moreover there was no scope of any automation in this project and Photoshop tools were not of any use either. Through our team of experts in graphics, we first cleaned up the image files by zooming-in and out every single character and design many times to clean the dirt marks to make these files readable. Further, our team of engineers worked on these files to generate Computer Aided Design as per client's specification. Hence, we completed and delivered the project with in time lines given by the client which were eventually used at client's automotive plant.